Archer provides high-performance casing exit services using the X-it® system, a single-trip casing exit technology designed to deliver reliable sidetracks, first time, in a wide range of settings. 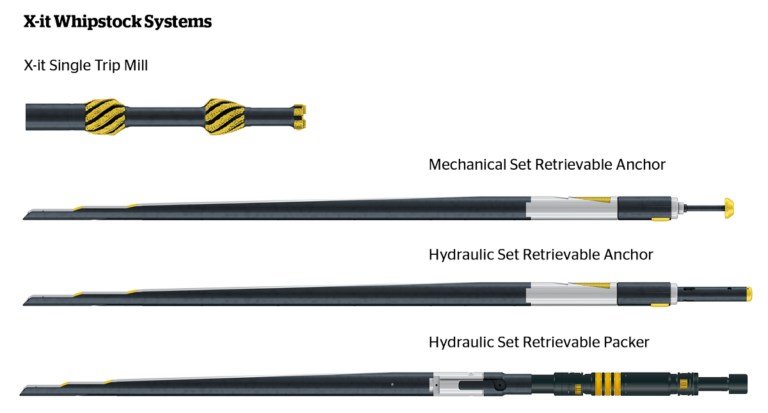 Proven in over 300 successful operations, X-it’s® unique multi-ramp whipstock geometry and fourth generation mill provide a step change in sidetrack drilling performance. With X-it® technology, sidetracks are delivered efficiently, reliably and with far greater accuracy. The X-it® system is the result of decades of hard-won experience in deploying and delivering sidetrack technology. In refining X-it® , our specialists have maintained a clear focus on efficiency, reliability and accuracy as fundamental requirements of our sidetrack solutions. The X-it® system consists of two main components, each with its own combination of unique features and benefits; each working in harmony with the other.